We redesigned the CDP site as their previous developer had left and was uncontactable. The owner had been trying, unsuccessfully, to edit various aspects of the site himself. 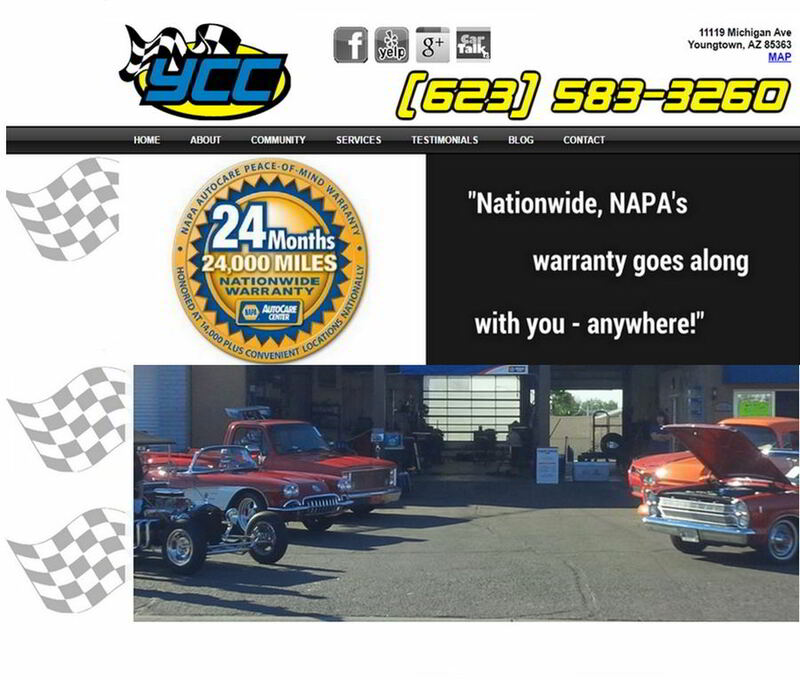 The redesigned site is now completely updated, and the owner easily has the ability to update himself or take advantage of our free maintenance hours. 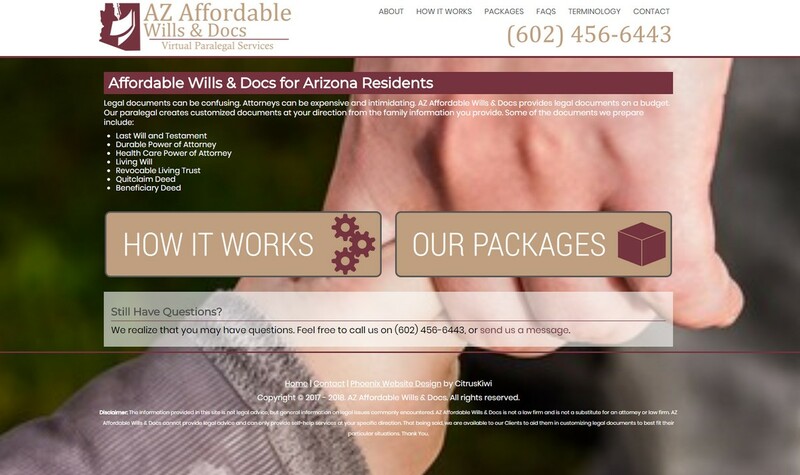 The owner of this online wills and docs site was already a client of ours. She asked us to build her this new sites to allow clients who needed wills and trusts to do it online easily. 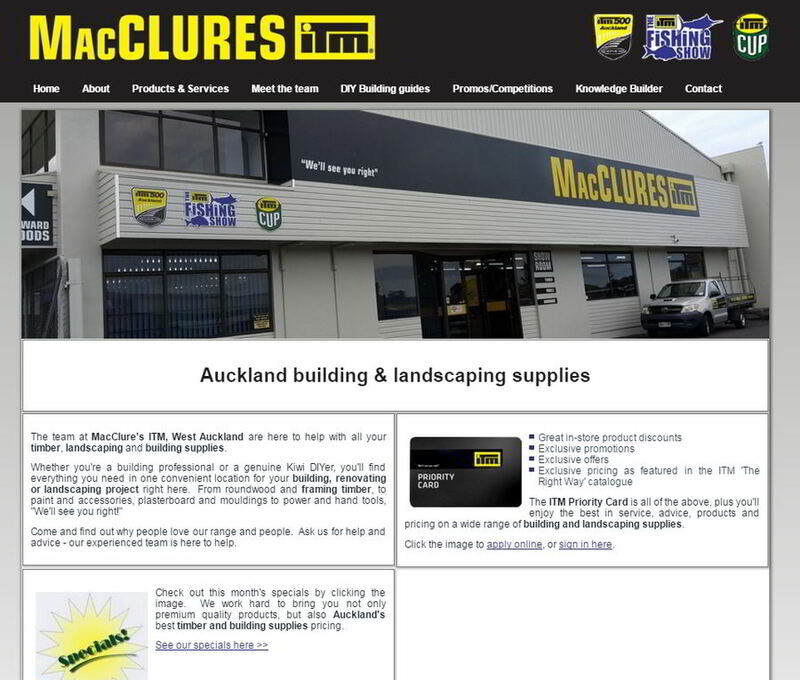 MacClure's Timber is part of an 80 member national timber & building supplies franchise chain in New Zealand. This was our first foray into the franchise world with all the various requirements to rigidly follow brand rules. However, it was a great experience and, methodically working through the brand documents, we easily complied with the head company's marketing guidelines. In 2015 the parent company recreated its brand, which meant all of the stores had to repaint, re-sign and redo everything to fit the new brand, including this website. This all fit in their plan - so they paid NO EXTRA for a total redesign from us! This was one of the first sites we ever built, and and we have done a redesign for the client - 3 times - as part of our subscription plan, bringing it forward with new sliders, images, etc. This is all covered in our maintenance plan at no extra cost. 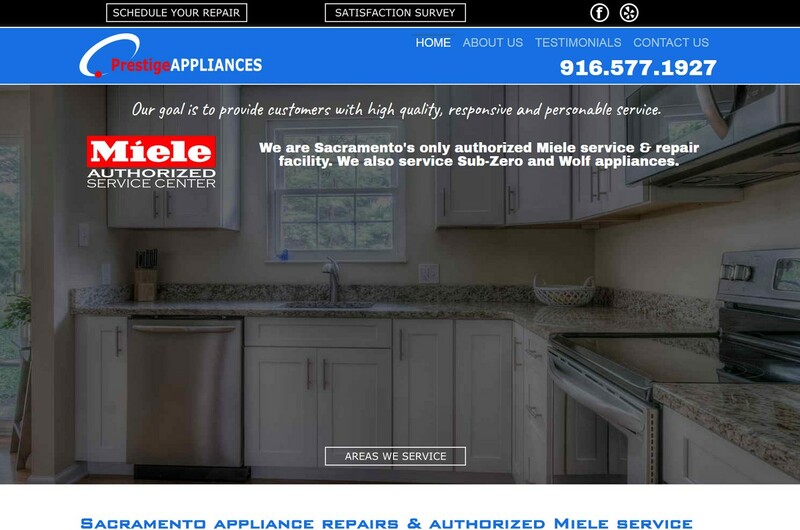 Even with the older site, though, we were still very proud of it for, within a few short months of launch, it was found by the Rachel Ray show, and the owner's product was featured by her. CitrusKiwi isn't just a taker, but we like to give back to the community. One of the ways we do this is by giving 501 (C) entities half off for their first year with us. 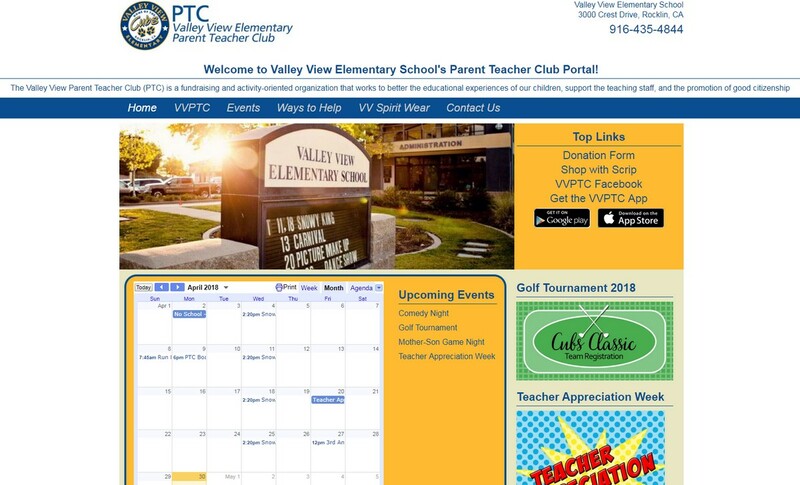 VVPTC came to us for help with their existing site, however, it became clear that it really needed a full redesign, which we did - at 1/2 price! If you're a 501 (C), check out our promotions page for more details. Many people think website design is just a matter of making it look pretty; few realize the detailed architecture which goes into content management. This was the major challenge here - organizing the huge amount of material into a cohesive, and easily followed, pathway. Their business is complicated and needs a lot of explanation. We managed to wrangle the content into an easy to navigate format, benefiting both our client and his clients. 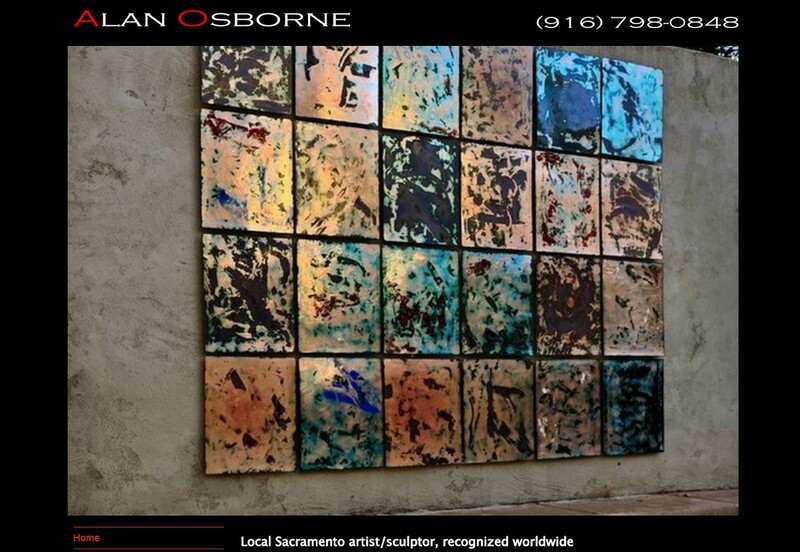 Alan Osborne, and his beautiful artwork, are well known in Sacramento, CA and far beyond. From small enamels, to huge corporate sculptures, Osborne's diversity in scale and mediums is amazing. We designed his website to showcase this unique talent and skill, and allow others from across the globe to share in its beauty even if they didn't live close by. 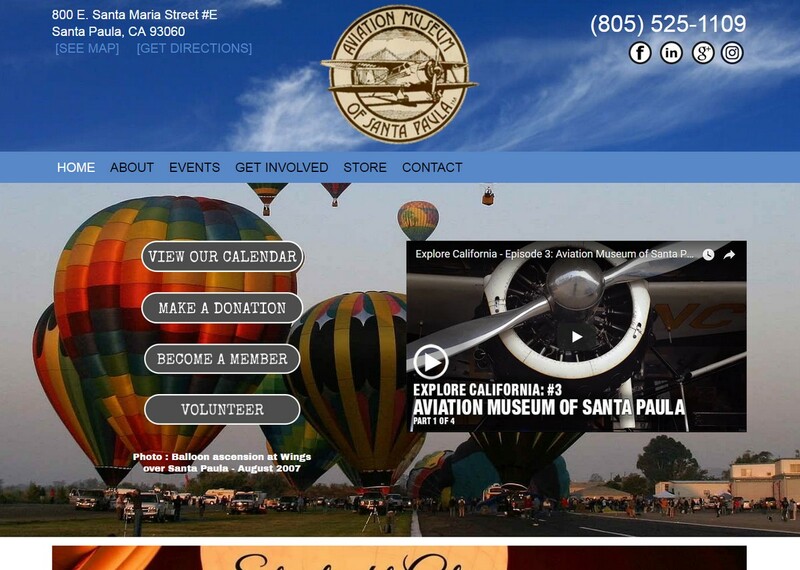 This is the 3rd client on the Santa Paula airport, one of our existing clients being on the museum board. They recommended us to the board to take over the museum-maintained Wordpress website. We built a new template for the site to give it a modern clean look, as well as reorganizing the navigation of some of the content to make it more user friendly. 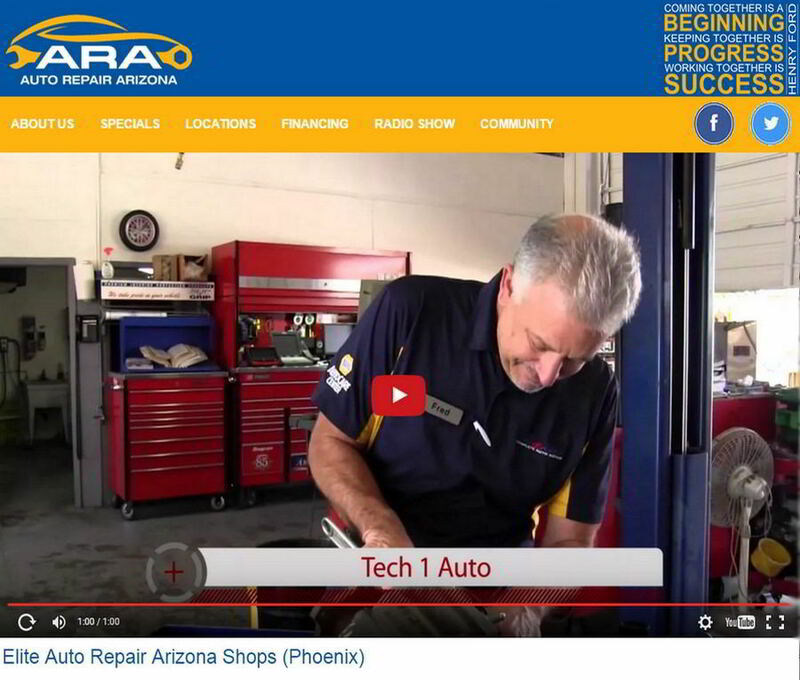 We also located some videos on YouTube which we added to the site for more interest and content. 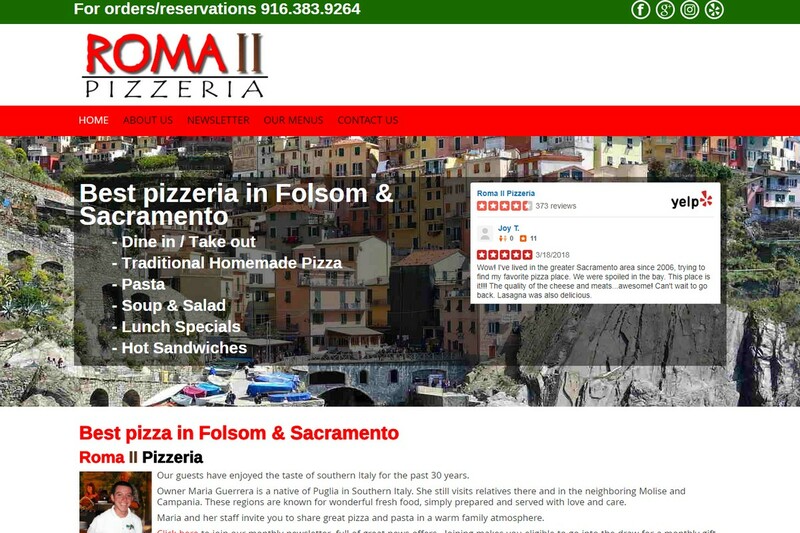 A great little family owned Pizza business based in Folsom, CA. Their original site lacked a logo, and color. Plus the previous designer was unresponsive to the client's needs and requests for ongoing updates and support. We redesigned the site based on the original, and gave them a simple, yet effective, logo. 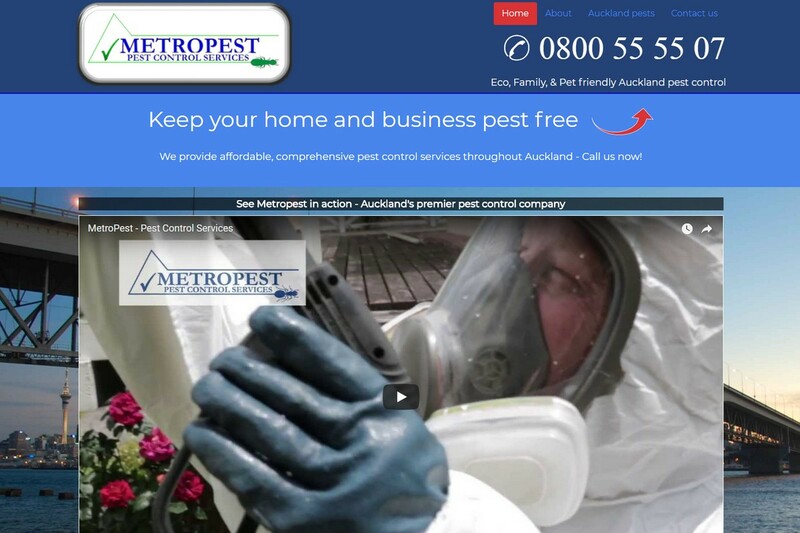 One of our New Zealand clients. 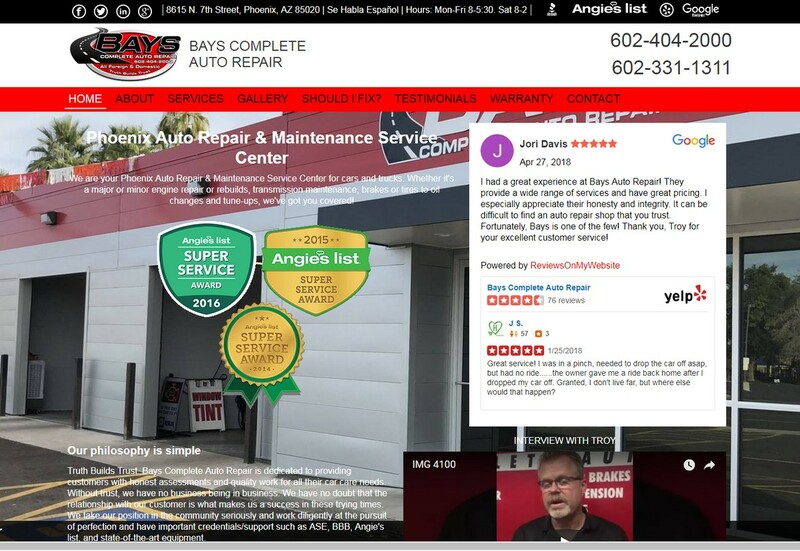 Ray and Greg already had a site that they'd done themselves, but they were looking to move it to the next level and get more continuity and content on the site, which we did for them. 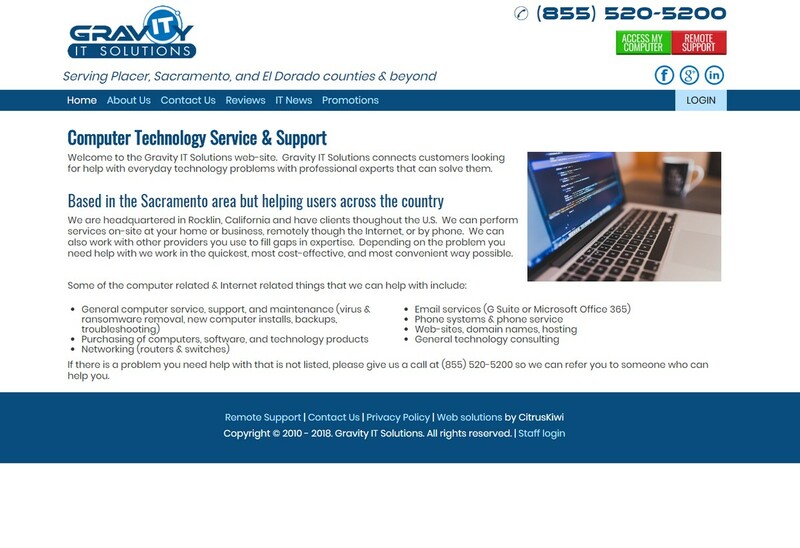 An interesting feature we incorporated onto their new site, at their request, was the ability for site visitors to send them a call-me-back text right off the site. They say this has been extremely successful. This client was referred to us by a mutual friend as they were frustrated by their previous designer, who had overcharged and undelivered. When they announced they wanted to move, he initially refused to release the domain name, which they had paid for. We we went to battle for them, and this fortunately had a happy ending, but it shows that you need to be careful who you choose to be in charge of your website. Since then, with the dust settled, we've done a full makeover of their site to give a clean and modern look and incorporated a third-party e-commerce solution for their shop. 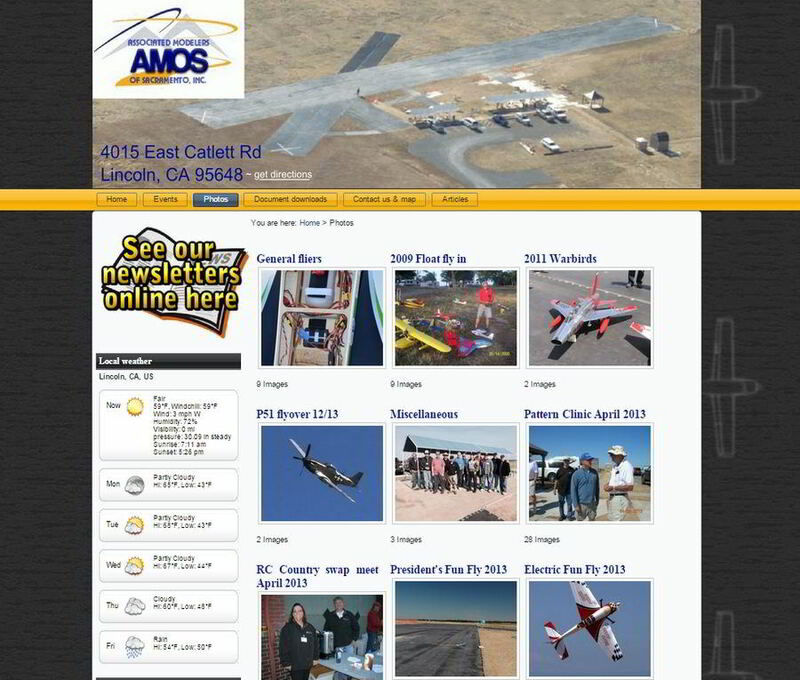 We're passionate about radio control modelling and found AMOS by doing a Google search for clubs in our area. When we joined, they already had a site which had been built and maintained by one of the members. This is one of our freebies (which we do on occasion). The big win for the club is the site now sits on page 1 of Google for most every search phrase for radio control clubs in the Sacramento area - often at position #1. And being found equals new members. We took over this site and did a full makeover. Originally we had a vertical menu on the left. However, this year, the client asked us to revamp the site as he wasn't happy with the way it was looking and working. Because all our plans have 12 hours of free time every year, the owner was able to get us to do another full makeover for free. Our friend has a rental property in Cabo San Lucas, MX that he wanted to promote more than what VRBO allowed him to. 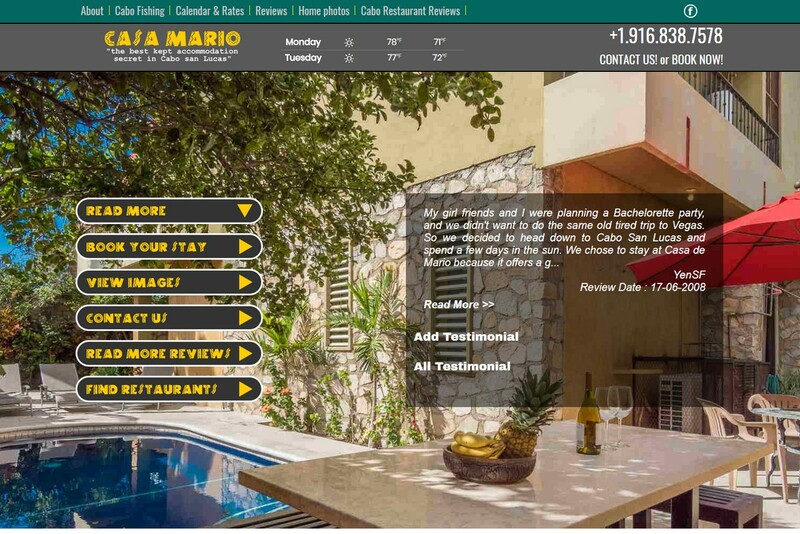 When we built the site, we included a section for fishing articles (Ernest Hemingway used to fish for marlin there), plus a selection of our friend's highly recommended restaurants, plus some "you probably shouldn't eat here" ones. This client came prepared with a video for us to use. (If you don't have one, we can help you there.) Video, and now live-streaming video, are the way of the future. What better way to wake up a visitor on the front page and get their attention? Content is great, graphics and photos are better, but video is the king of content. A good video says more about a business and what it can do for clients in 30 seconds than a whole website can! We work closely with a number of website-related companies that include videographers to ensure your website delivers your message clearly and with pizzazz. 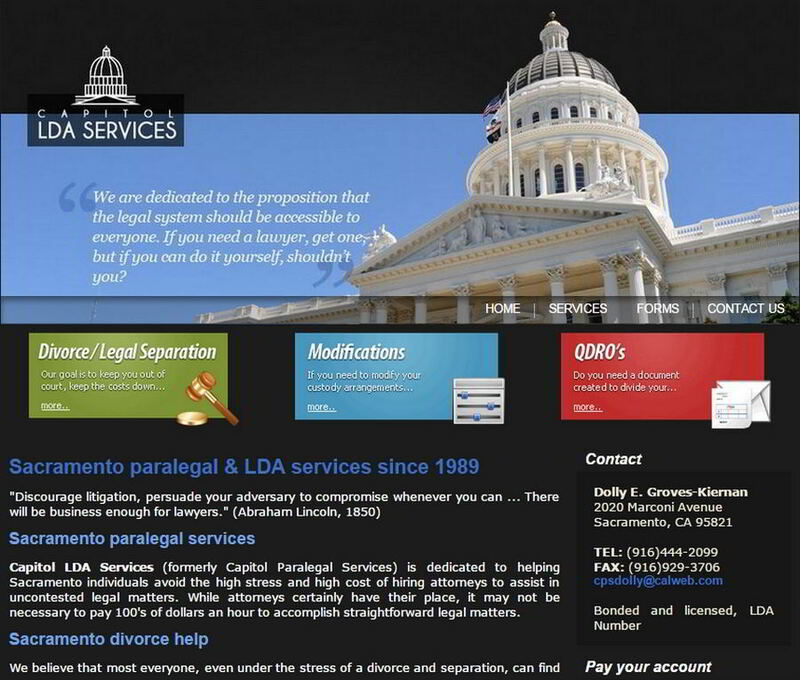 The previous version of this site was built on GoDaddy's website builder platform. Unfortunately, it's somewhat limited in its abilities and features, and difficult to navigate. This left the client unable to do even quite basic edits and feeling frustrated. 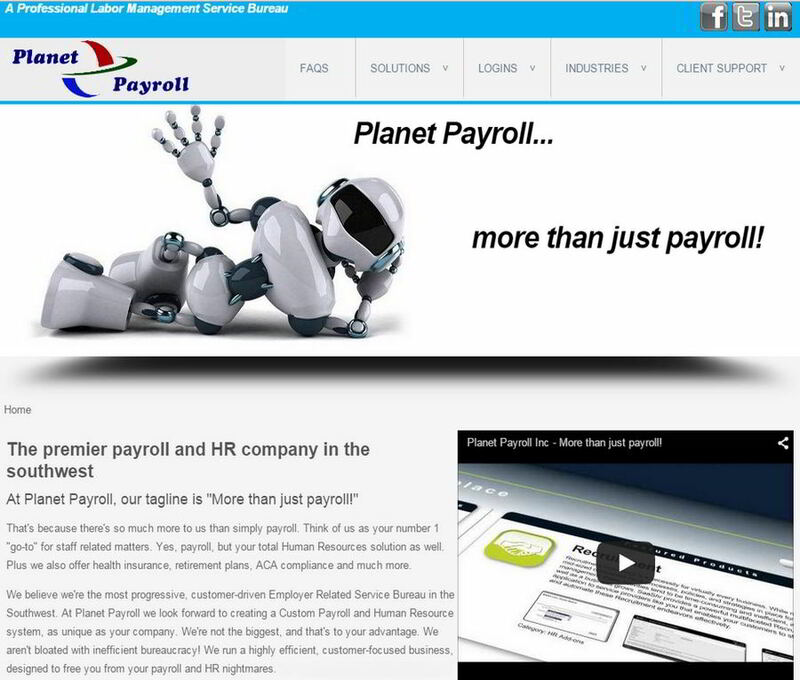 We rebuilt the site in Joomla, added extra functionality, and improved the overall layout and navigation. And all his maintenance worries are gone now - we handle it all for him. Bella Luna came to us as a referral from our CPA (who is also a client of ours). The existing site was in need of a makeover to modernize it and give it better flow and navigation. We had some issues getting the login information for Homestead so we could make the new site live. This is a heads-up to all site owners, make sure you have login info and keep it safe! 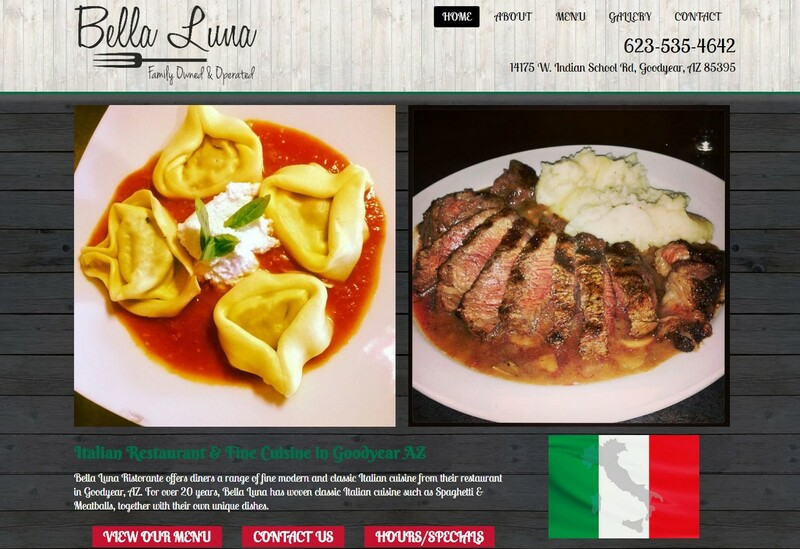 BTW, the food and atmosphere at Bella Luna is spectacular! This restaurant is a MUST VISIT! 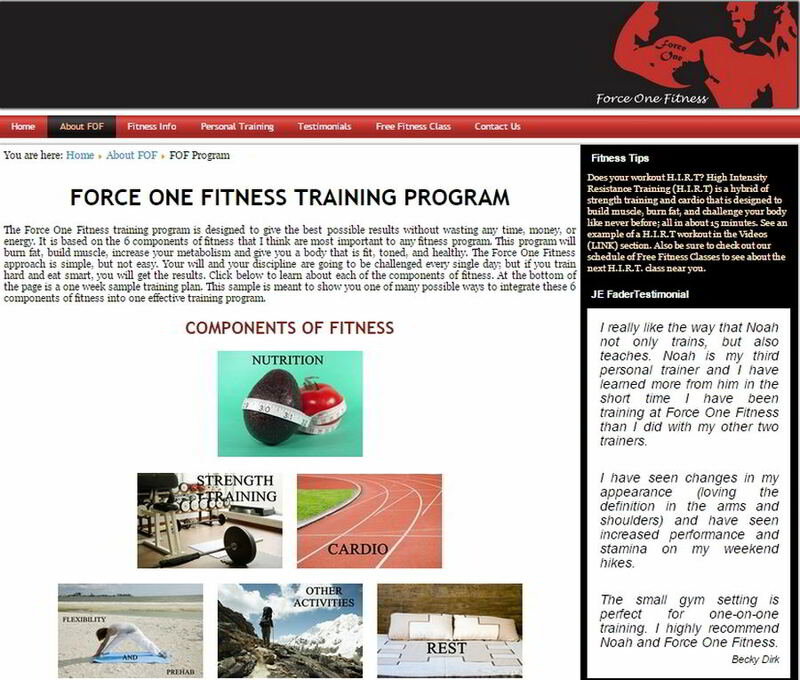 This site, brand new back in 2011, managed to begin ranking quite well for its targeted keywords, in the main, because this young, entrepreneur client had us upload numerous training workout videos to YouTube and stream them on his site. This is due to Google owning YouTube and loving its own! His traffic went from zero to over 500 unique visitors per month in around 90 days. 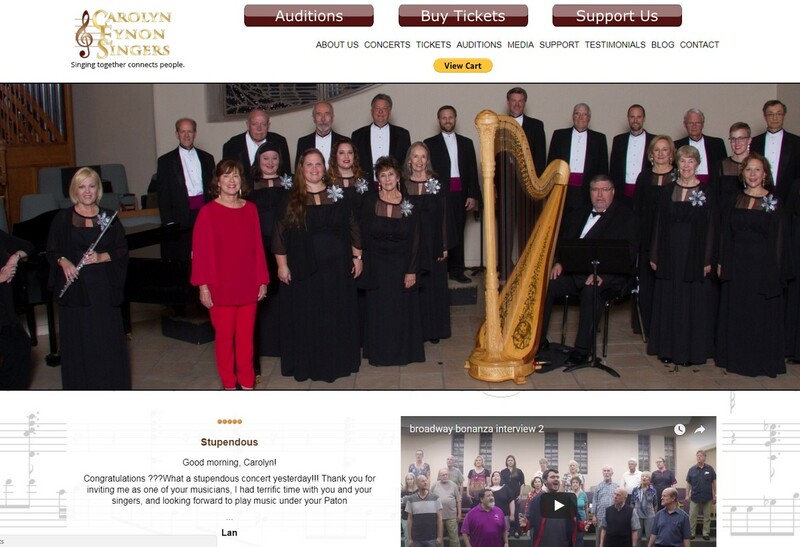 CES is a non-profit choral group based in Scottsdale. As a 501C, we gave the group a 50% discount on their first year's subscription. However, as we enjoy their performances so much, we extended this discount indefinitely as a donation to their continued success. They are a great group - see them! We built this website back at the beginning of 2012, and, apart from it needing to be updated to a responsive template, it's a very classic design that still looks and works great, over 3 years later. The colors are strong, yet timeless, and suit the type of business they portray. Despite remaining largely unchanged, the simple but effective design, combined with solid content, continues to show traffic increases every year. And visitors are staying on the site, which is right where you want them! 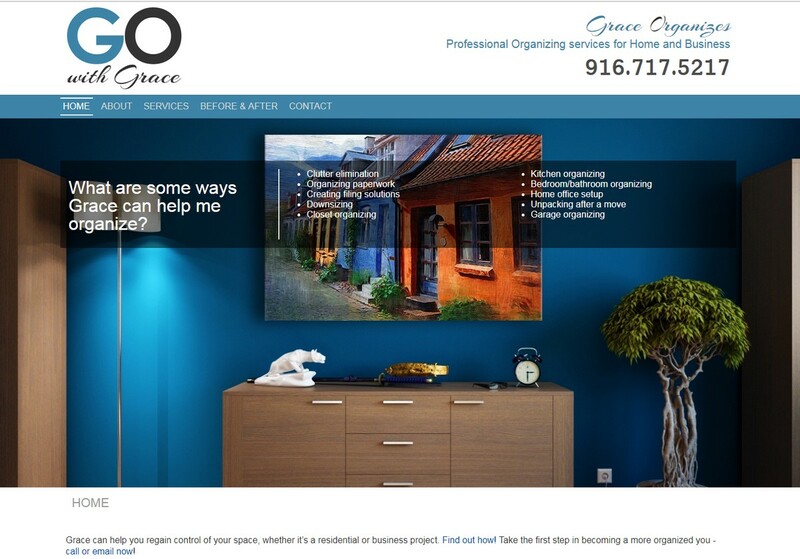 This client was not only a redesign, but a rebranding as they went through a company change. So while we used some content from the old site, much was rewritten, especially as their focus and direction had changed. They are continuing to evolve, and this means that the website is changing with them - something that's easy to do with our monthly plans (and did we mention free?). These clients are originally from England, and their site was originally designed by someone from over there. 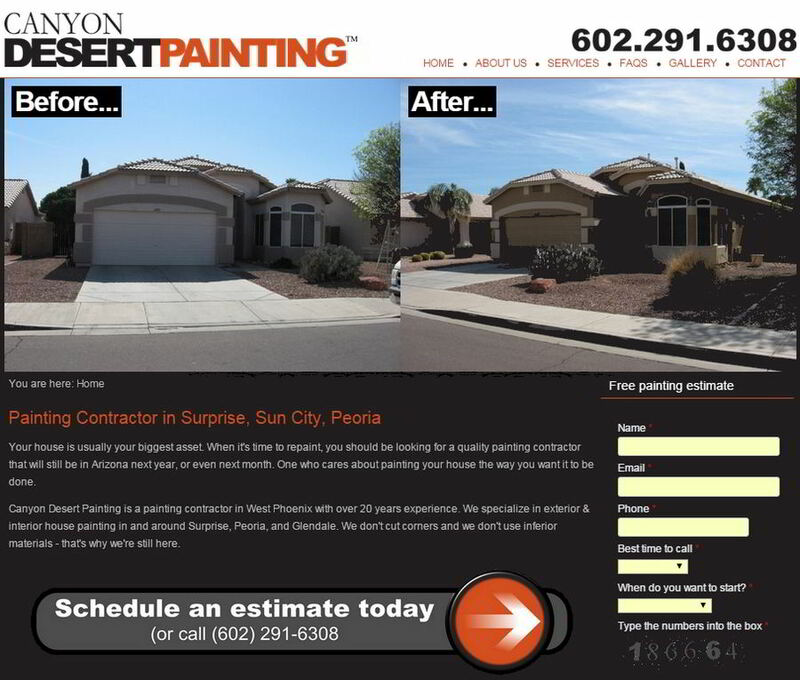 However, they wanted to work with someone local and chose us to accomplish their redesign. Since completing it, these clients have become some of our closest friends. While we don't expect this with every client, long term relationships are very important to us. That's why we are only a phone call or email away! When you phone us there is no complex series of voice prompts! 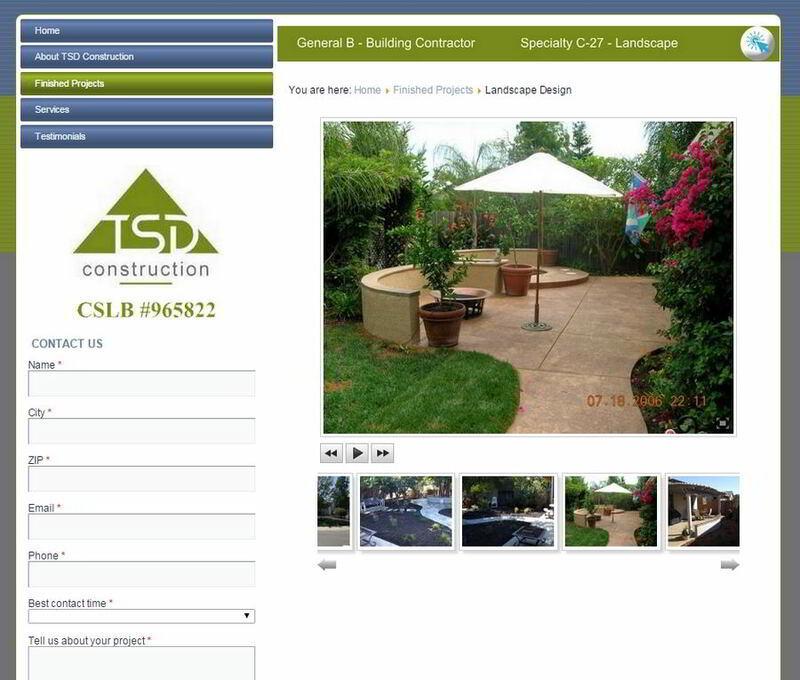 This site for a local Sacramento contractor, relies heavily on images to showcase their skills. It currently has nearly 1000 images in 15 categories to let visitors see exactly what it is they can do. This is a great use of the visual element to draw in potential clients and give them a comfort level in your abilities. 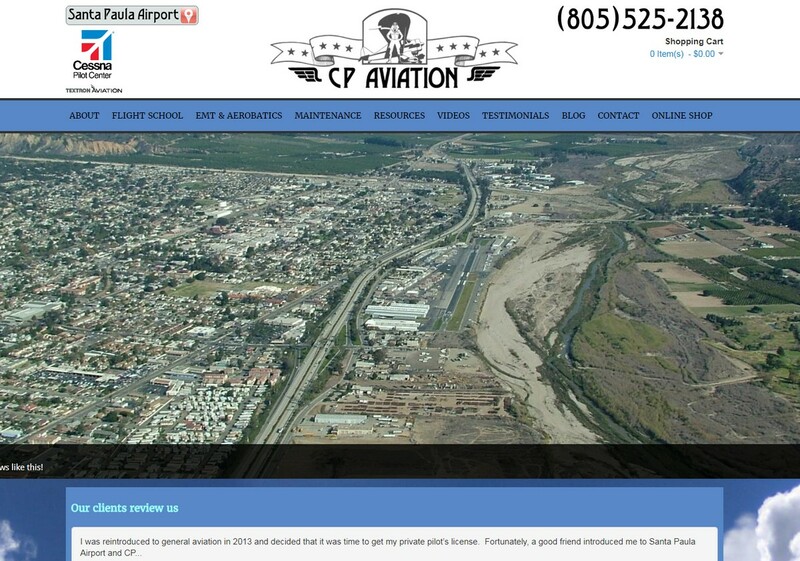 CP Aviation was our 2nd client on the airport, who we were referred to by the airport manager (we had previously completed the website for the Santa Paula Airport). We modernized the site for CP and regrouped some of the content so it would flow in a more logical way. 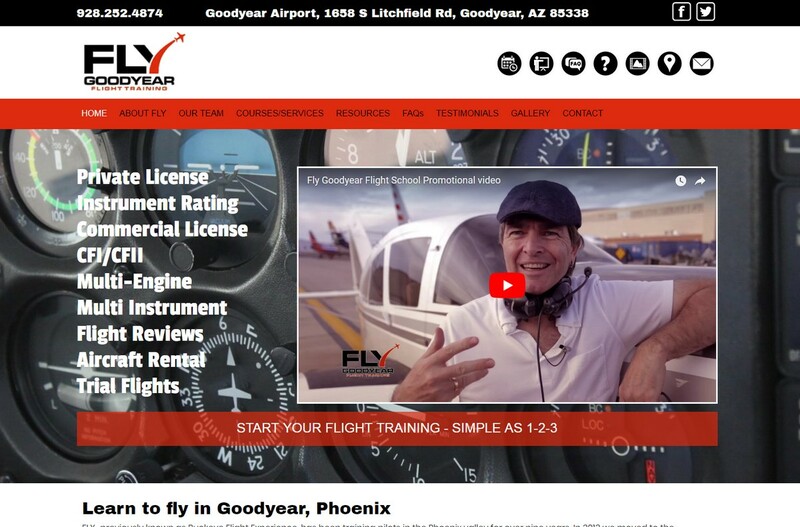 Ian complete his flight training at Fly at Goodyear. He became good friends with the owner who had built the original school website. After taking over the site we modernized the design and added a lot more content. The original site had been built by the owner. As we find often, the site was outdated due to the owner doing their own business and not havign the time to keep their site up-to-date. We modernized the site and worked closely with her to add more content and change the layout and usability of the new site. 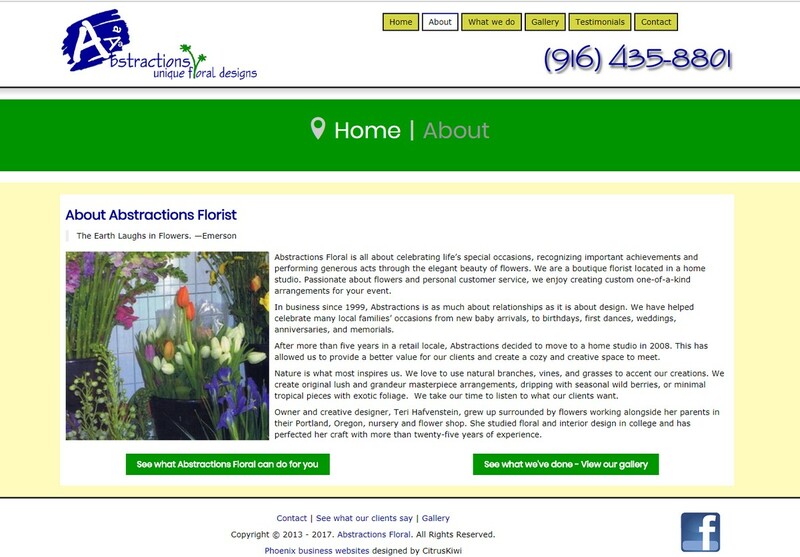 This client produces some stunning floral arrangements (these aren't your little, cheap ones you get from the supermarket - they're true works of art), but is somewhat "challenged" when it comes to things web - like many of our clients. They were one who took advantage of our full range of services (and we encouraged them to), and they did so all within a neat & cost effective package deal! Now they have the freedom to design what they're best at and focus on their business. Bisceglia, Steiman & Fudeman are a Massachusetts based CPA firm. 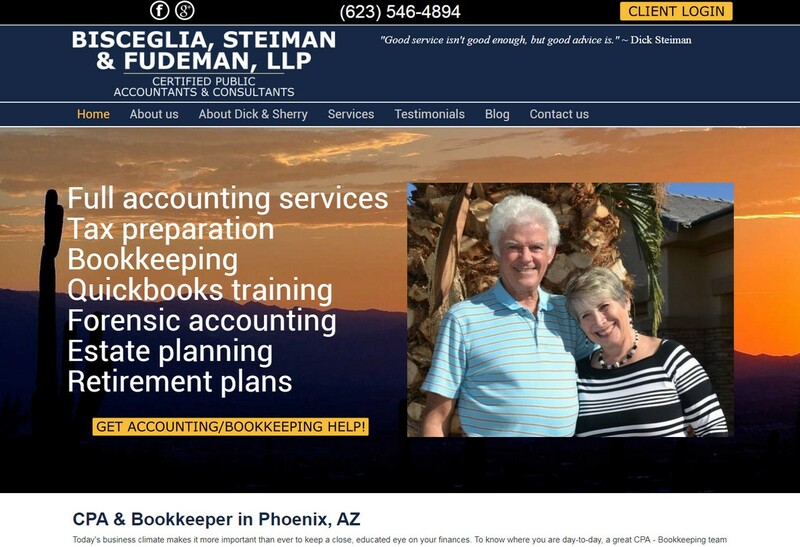 One of the partners moved to Phoenix with his wife and practice as CPA and Bookkeeper in Arizona. 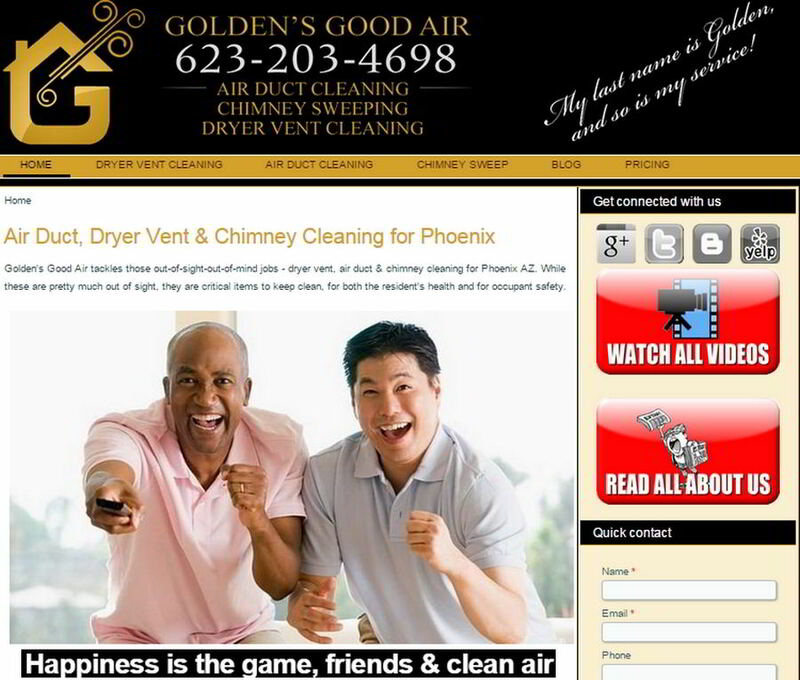 They asked us to help them expand their client base in the Phoenix valley with a new website. The site highlights their main areas of practice and the ancillary services they offer. 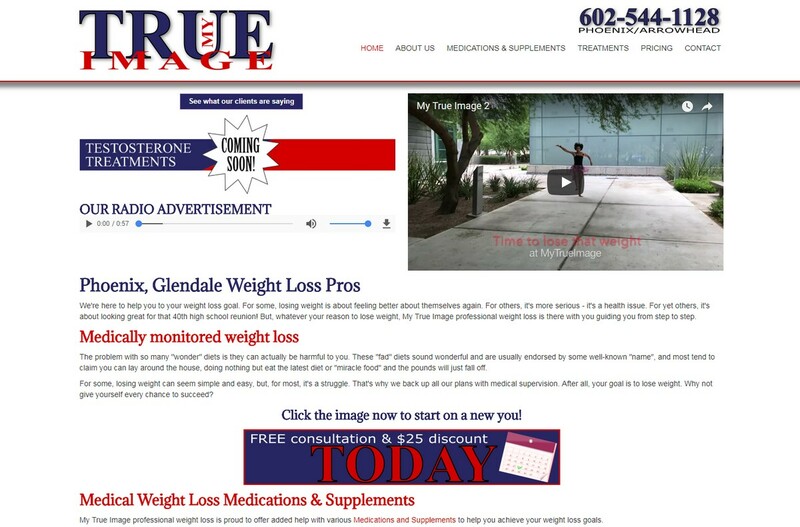 This was another site we took over and redesigned. On the front page it looks very similar to the previous site, but, given the nature of the client's business and how images really speak to their quality of work, we majored heavily on designing the site to be graphically representative of what they do. This was lacking on the original site. While having images was imperative to portray what they did, we cannot stress enough how quality images will make or break any gallery, and we commend businesses like Force 1 Construction who take the time to pay attention to detail. We are members of this international networking organization, and we wanted to provide a resource for our current chapter members to help promote us to potential members.Holistic networking requires offline and online presence. 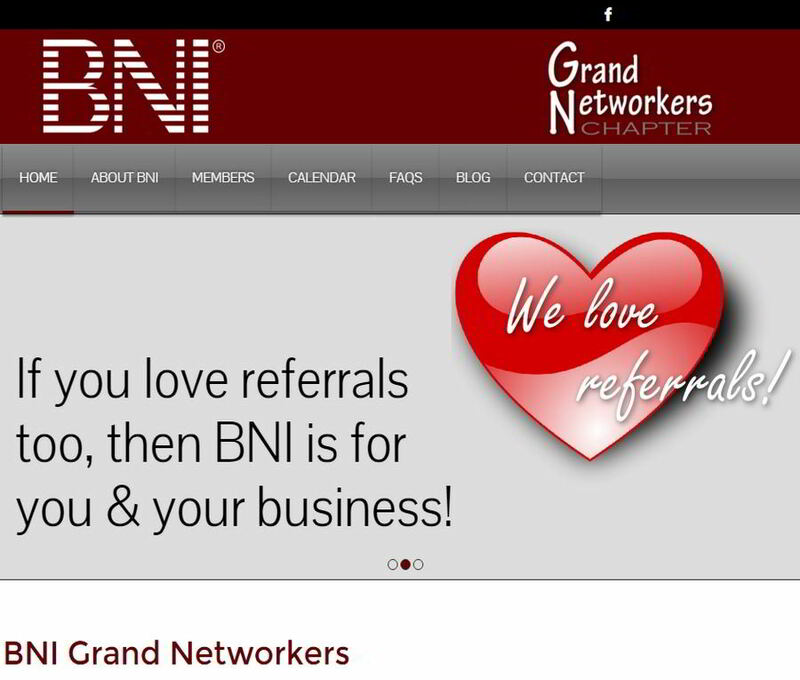 This site shares about what BNI is in general, as well as highlighting its Chapter members' businesses through a member directory. Members can link to this from their own websites for additional promotional value. This framework can easily be adapted to Chambers of Commerce and organizations such as Rotary, Lions, or any other member-based groups. Sports clubs and kids clubs can also benefit! We were referred to this client by another of our customers as he was so impressed with what we'd done for him. This church is based in Nigeria, and has spread out to many countries around the world, and we were engaged to complete a site for their American branches. We always talk to clients about getting testimonials for their sites as these are wonderful kudos for them. This client came to us with hundreds - and we didn't even need to ask! This client had a Joomla! site already, which is our platform of choice. So we freshened it up with a face lift and new content. We also worked on the organizational aspects to make it easier to navigate. Witt the 12 free hours we offer in all our packages they can continue to keep their website fresh and up-to-date, and even throw in some NEW design features if they want! 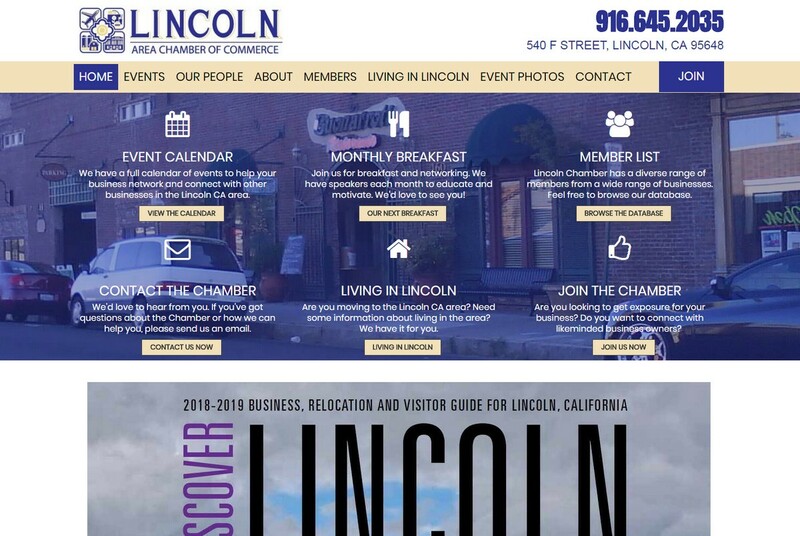 We are proud to have been chosen to provide a makeover for a very outdated site for this Chamber of Commerce in Lincoln, CA. Much extra functionality was needed with expanded fields made available for their member listings, online purchasing and registration for events. Part of our design process included loading all the member details into the database - just another way we stand out in terms of value and service! This is another redesign of an outdated site that really needed more functionality for visitors to enjoy their experience. While we retained some purple in their branding from the original site, it was updated to a clean and more inviting "look" that made it more contemporary. It also uses IDX linking to their MLS - which saves them money and upkeep costs! A website is a great place to show community spirit. Most people think of a website as just a way to promote their business and products or services. Savvy visitors want more than just an online brochure. 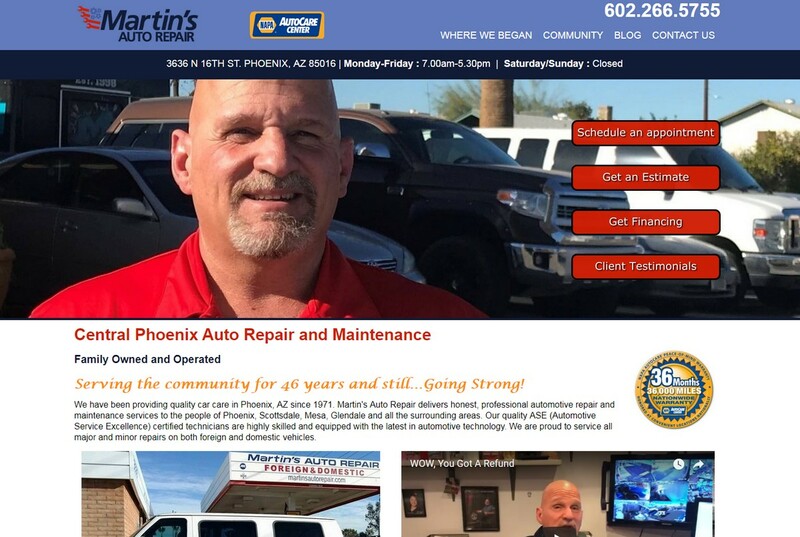 This website is a great example of a business not only promoting itself, but how it also promotes others in the community. We are proud to help grow a business that is proud to help grow others! 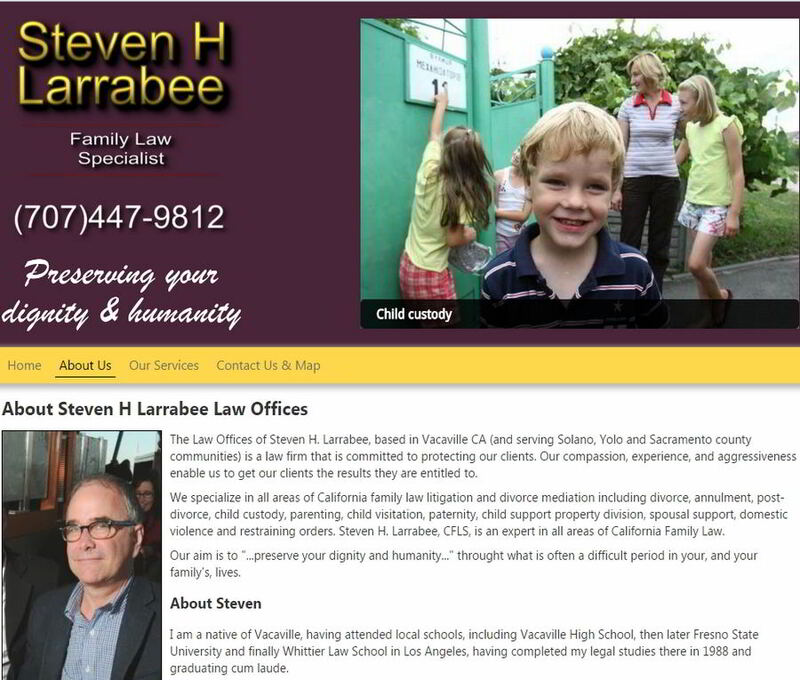 This client found us through another attorney - we had done a website for his wife. We have yet to meet him, but we've been helping him for a number of years. That's the beauty of the internet. It has no fixed location and, although we love to meet our clients in person, it isn't necessary to build a good relationship. In 2016, whilst doing regular maintenance, we found we couldn't update the core files that run the website. So we rebuilt it, and since we were doing that, we also refreshed it with a new look. All of this was at no cost to the client. 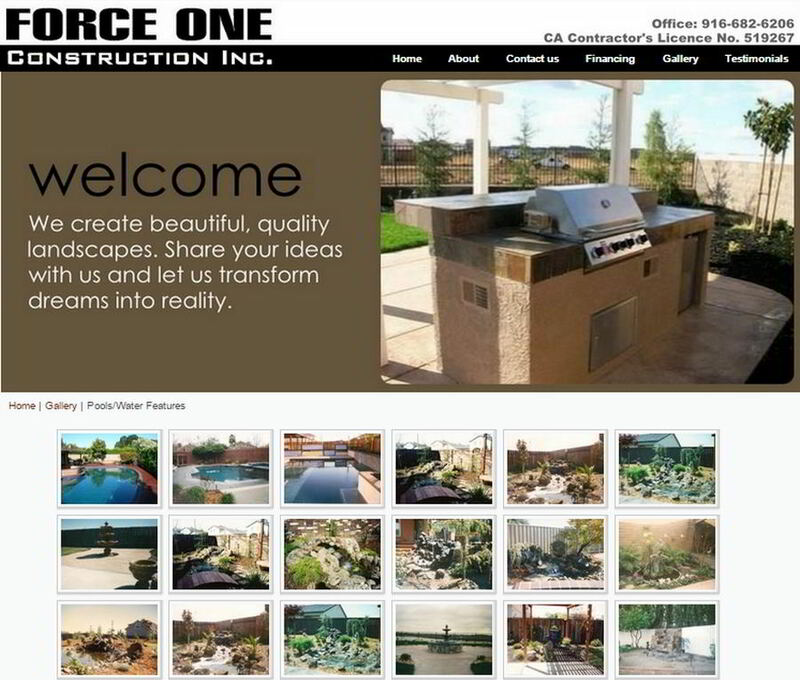 This company came to us as a referral from another client and they had never had a website. However, they did have good content readily at hand that allowed us to complete their site in a timely manner. The owner has been reasonably good at utilizing his new blog, which is a great way to add fresh content, which the search engines reward. Way to go! Blogging doesn't need to be onerous; all it takes is a bit of creativity and setting aside an hour or two each month to share your knowledge and ideas. Small price to pay, since the rewards of increased site traffic and higher ranking can be tremendous! This is another website that was originally built on a DIY website platform., They wanted the website tidied up and refreshed, which they couldn't remember their details in order to get into it and make the changes. So they had put it off, until they met us. 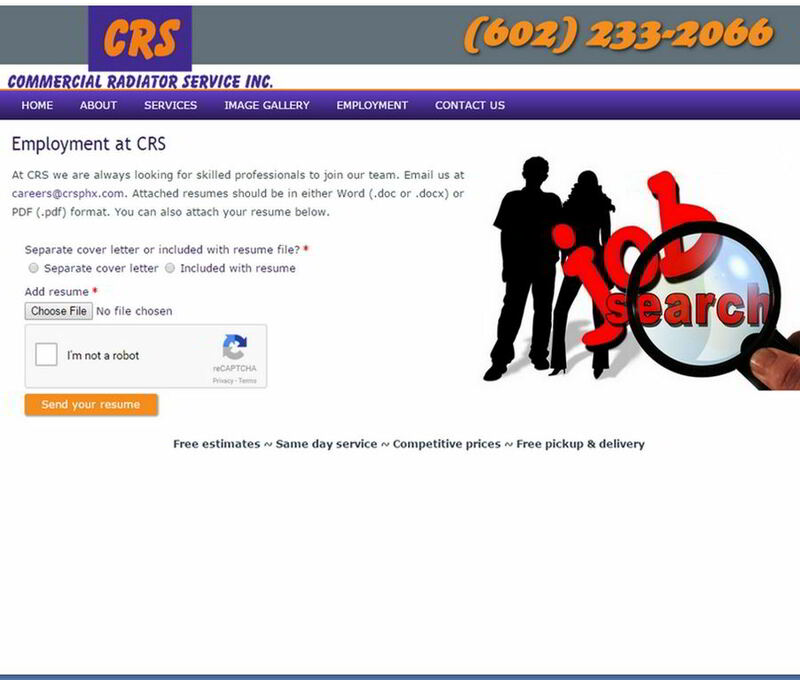 In addition, they wanted an employment page that would give applicants the ability to directly interact and upload resumes and capture contact details. This is a great example of how companies can use their websites for other needs, such as HR, or any kind of application process. We redesigned this site from the bottom up. The client wanted a complete overhaul and makeover - which is right up our alley! We like working with clients who understand what they need, even if they can not articulate it in detail. The best question we can hear from a client, however, is, "What do I need?" We are happy to say what we think and share our expertise. It is up to the client to give us that freedom to design a new website that does not detract from any important branding.And we work with the client throughout the design process so they have the opportunity to give their feedback as we go. This really is a team effort! We are very excited about this website project! 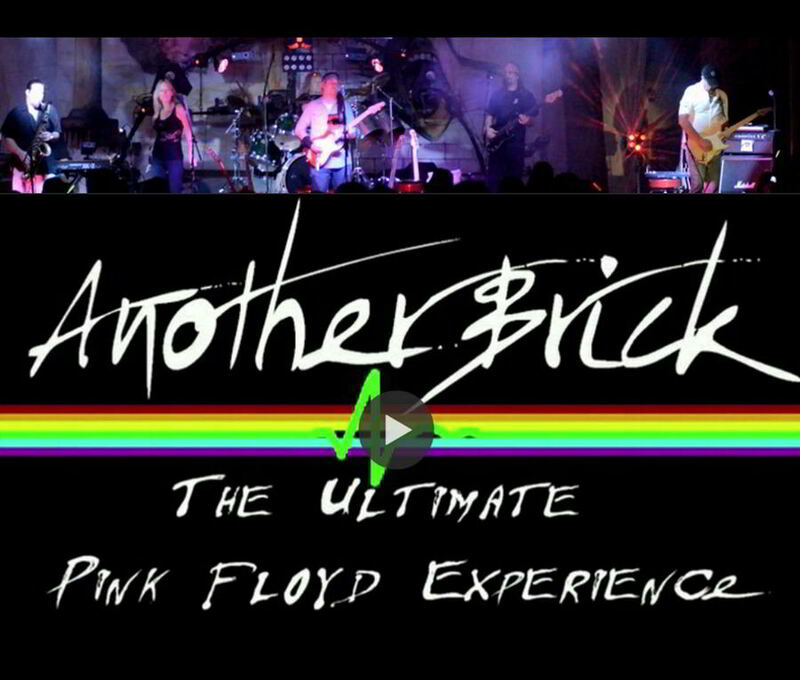 Being die-hard Pink Floyd fans we really feel honored to help this CA-based band as they share the Ultimate Pink Floyd experience with fans around the country. Like most band websites, it's been too long in coming and is still a work in progress.